Researchers at MIT have recreated Mars-like conditions within a three-story-tall cloud chamber in Germany, adjusting the temperature and humidity to match those on Mars – basically creating Martian clouds. Judging by the images Curiosity has sent us, Martian clouds look quite similar to ours – the gauzy, high-altitude wisps look a lot like the cirrus clouds we find here on Earth. Judging by what researchers know about Martian clouds, they are probably carbon dioxide or water-based ice crystals, though it’s hard to estimate the conditions which lead to their formation. The first thing they noticed was the humidity – in order to create these clouds, they had to raise water humidity to 190 percent, far greater than cloud formation requires on Earth. The finding should help improve conventional models of the Martian atmosphere, many of which give Mars and Earth a similar humidity. 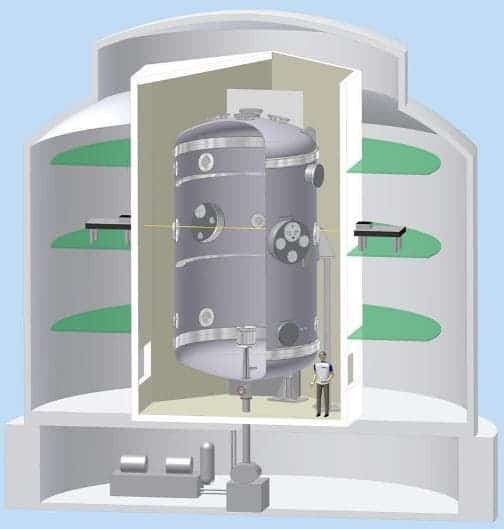 In order to recreate the conditions, they the used Aerosol Interaction and Dynamics in the Atmosphere (AIDA) facility – a former nuclear reactor which is now being used in cloud studies. The building was initially used to study Earth clouds, but Cziczo realised that with just a little fine tuning, it could also be used for Martian clouds. To do this, he first pumped all the oxygen out of the chamber, and instead filled it with inert nitrogen or carbon dioxide – which are omnipresent in the Martian atmosphere. 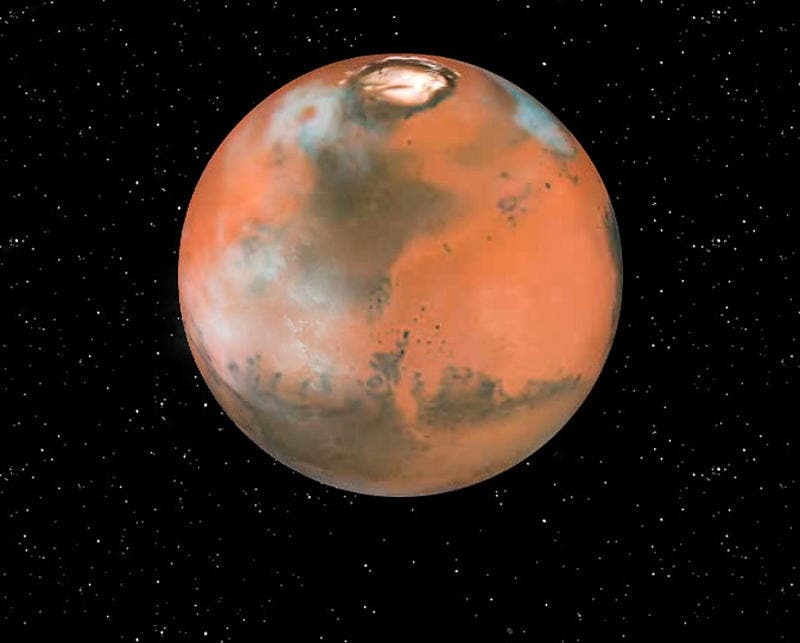 Then they created a dust storm, of course, with the same minerals and grain sizes found on the Red Planet; this was a crucial step, because just like on our planet, these particles act as cloud seeds around which water vapor can adhere to form cloud particles. They then adjusted the temperature, trying out different temperatures commonly found on Mars as they went. By adjusting the chamber’s relative humidity under each temperature condition, the researchers were able to create clouds under warmer, Earth-like temperatures, at expected relative humidities, which gave them confidence that they are working with the right parameters as they moved on to colder, Martian temperatures. During a week’s time, they created 10 clouds, with each cloud taking about 15 minutes to form. Since the room was perfectly insulated, they used a a system of lasers, which beam across the chamber, to detect cloud formation. Whenever clouds were formed, the light would be diffracted and this scattering is then detected and recorded by computers, which display the results – size, number and type of particles. They plan to return next fall for even more experiments, going to lower temperatures, which are closer to the icy surface of Mars.